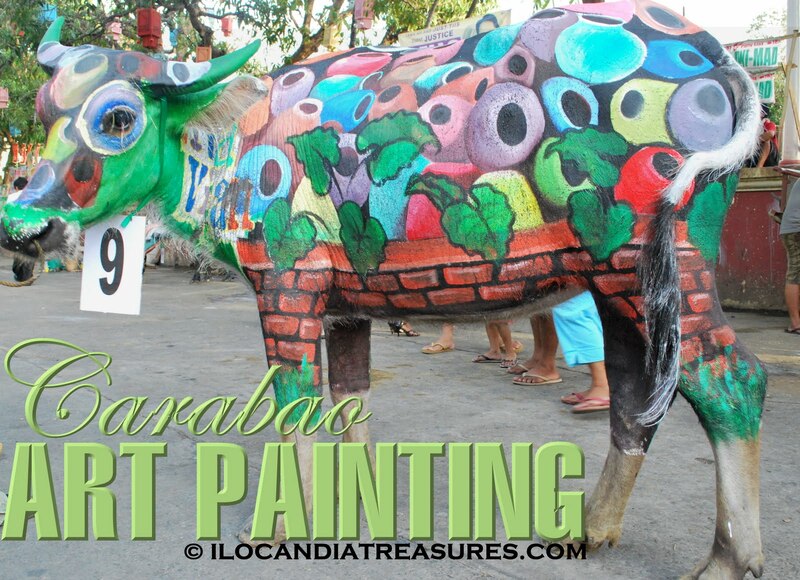 Karbo Festival is a fusion of carabao art painting and boklan art in celebration. It is still a part of the Viva Vigan Binatbatan Festival of the Arts. The theme was Sining at Kulturang Bigueno tungo sa Magandang Turismo. We went to Nueva Segovia St. and have seen the farmers and their carabaos. Most people were busy preparing for the karbo festival. Some are doing the boklan art while others were painting their carabaos with colorful designs. They use the waterbase paint so it would be easy to remove from the skin of the carabaos. 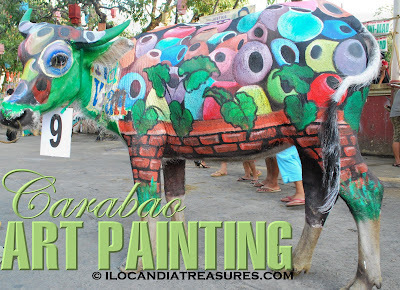 Some of the carabaos were painted with designs of burnay or jars while others are with the leaves of the bigaa plant, landmarks of Vigan such as the cathedral, belltower, and others. 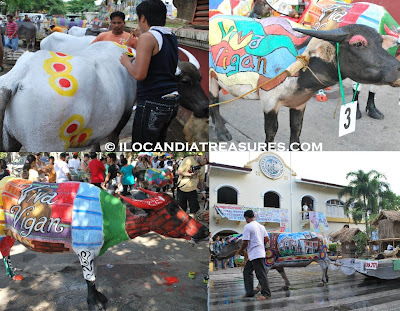 The pasagad or sleds have been decorated with longganisa, burnay, a miniature tobacco plantation with some tricks on the well, old photos, frames, abel iloco textile, calesa carriage and other products of Vigan. The entries were paraded along the streets. They have to water the road so as to cool off the carabaos especially that they wear paints on their bodies. It made also the road slippery and one carabao got skidded. It was good that it was controlled.